You are here: Home / Educational / Introducing Sierra Walk Shops! 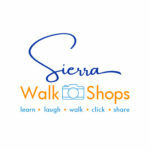 I am thrilled to announce that I have partnered with Brent DeShazer of Sierra Portraits to offer Sierra Walk Shops! 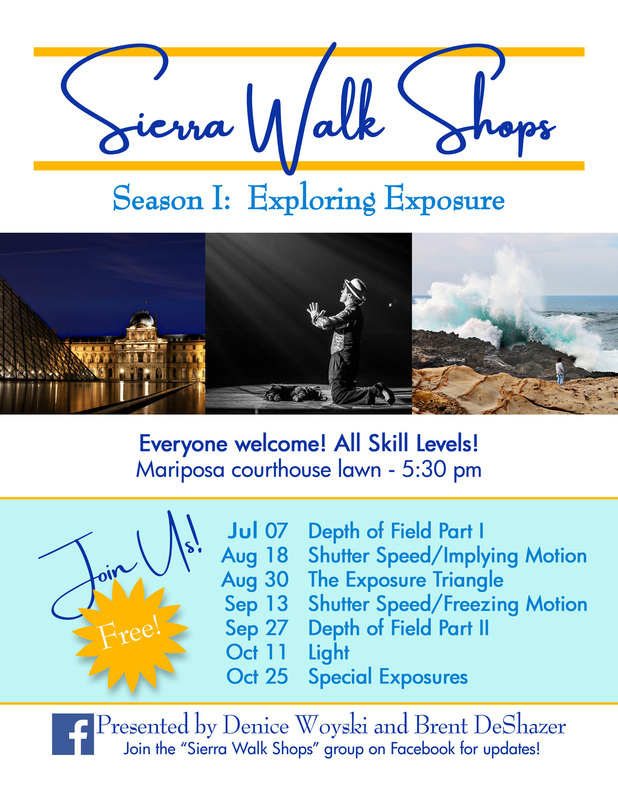 Sierra Walk Shops are free, hands-on, walking photography workshops. We are located in Mariposa, California and we invite visitors and locals alike to attend. Whether you’re an experienced photographer, a new camera owner seeking advice or someone looking for tips on where to take some great photos in the Mariposa/Yosemite area, everyone is welcome to attend our photography workshops! We encourage all questions. Come ready to share, learn and practice! 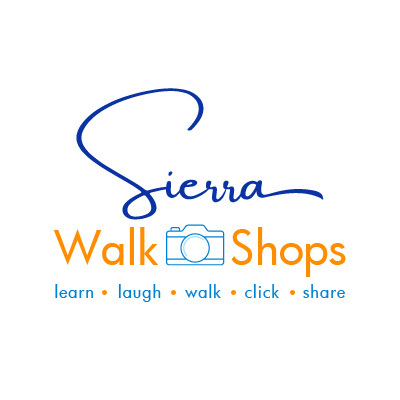 You can subscribe to our Walk Shops here on my blog (—> over there…on the right) and join our FaceBook group, Sierra Walk Shops. You’ll get the latest info on our Walk Shops and our super awesome Walk Shop course materials delivered to your inbox several days before each session. In addition, you can share photos and get support and encouragement from our FaceBook group. Most importantly, you’ll have lots of fun! I love that you are doing these workshops, but I haven’t had a chance to join you yet. Hopefully in October I will. Thanks!